A while ago, I decided that I would reward the person who made the 3,000th comment on my blog with a gift. 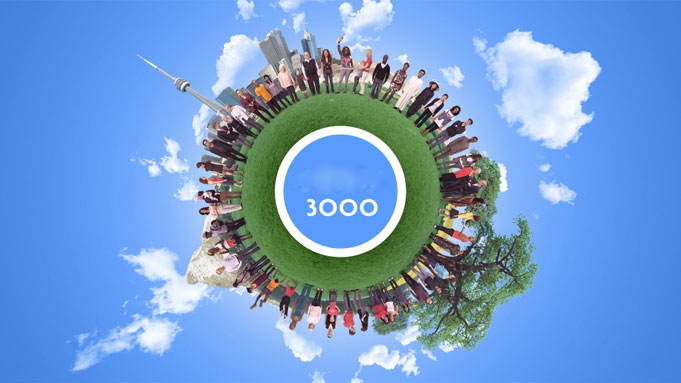 No, there is nothing significant about the number 3,000. I was obsessing over my stats just happened to notice that the number was fast approaching, and the time felt right. I just wasn’t sure what I was going to offer up. I figured as an English teacher, it would be most appropriate to offer up a book. But what to send? And then the day came, and I saw who made that 3,000th comment, and everything became clear. When I arrived in the bloggersphere last May, the very first person to welcome me was Carl D’Agostino. Carl helped me to network with some of his blogging buddies and he has been a steadfast follower ever since my very first post. In fact, no matter what time of day I post, I can pretty much count on Carl to be the first responder. If he lived closer to me, I would totally have him on my person to contact in an emergency list. He is that reliable and that fast. I was thrilled when I saw that Carl made the 3,000th comment back in March. 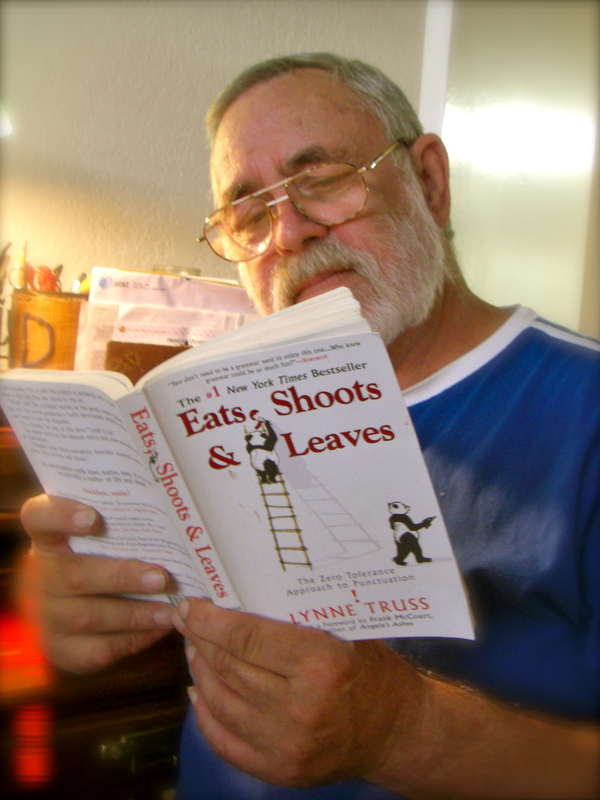 And because he is a former teacher, I offered him two book titles: F. Scott Fitzgerald’s classic The Great Gatsby (which he once confessed he’d not ever read) or Lynne Truss’ irreverent Eats, Shoot and Leaves: A Zero Tolerance Approach to Punctuation. Carl chose Truss’ hilarious book for grammar sticklers. Then I told Carl there were strings attached to the gift. I asked him if he would write a short response to the book in which he explained one thing that he enjoyed or learned which I could use in my blog. If you see how the two pieces of punctuation in the above title affect understanding a great deal, you will enjoy this book and even learn some history. If you don’t see alternative meanings, you need to read this book. Truss says, “Punctuation gives sentences manners.” She explains how punctuation allows sentences to speak to us rather than merely appear before us. I am glad Mrs. Schuls-Jacobson gave me this reading assignment (over spring break – sheesh). So thank you and congratulations to Carl! If you like his illustrations, you can find lots more of them here on his blog I Know I Made You Smile. And to the rest of you, keep those comments coming. My blog will be a year old in May. I’ll probably have some other special surprise up my sleeve. 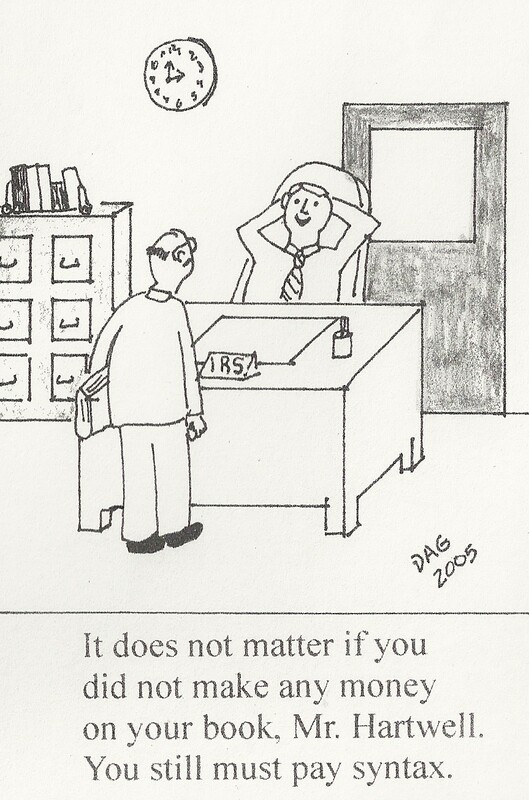 I got this little gem from a colleague who was in the midst of grading three sections of English 101 mid-term papers. Upon completing one full section of essays, he decided to reward himself. Do you think if we “sexed it up” (as the British say), we could ever get everyone to use it? 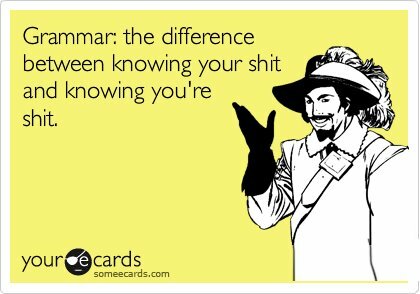 Let me be the first to say that I am a Grammar Pimp and proud of it. I use Grammar all the time. And she has never failed me. She is tireless, and she never lets me down. She has never asked me for anything, and I have only benefited from my relationship with her. Seriously, who wouldn’t want in on that kind of action? 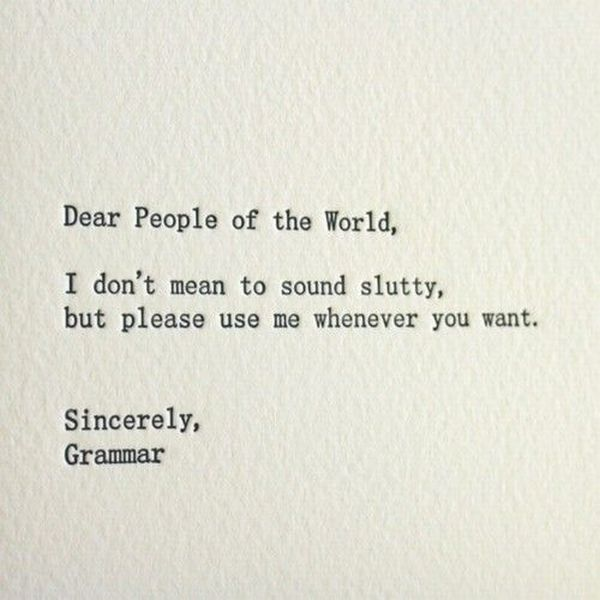 Grammar, you have a bag full of tricks, you dirty girl. You aren’t afraid of anything: noun-pronoun agreement, misplaced modifiers, dangling modifiers. Colons don’t scare you and – Grammar, you little trollop – you love when people use their hyphens properly. 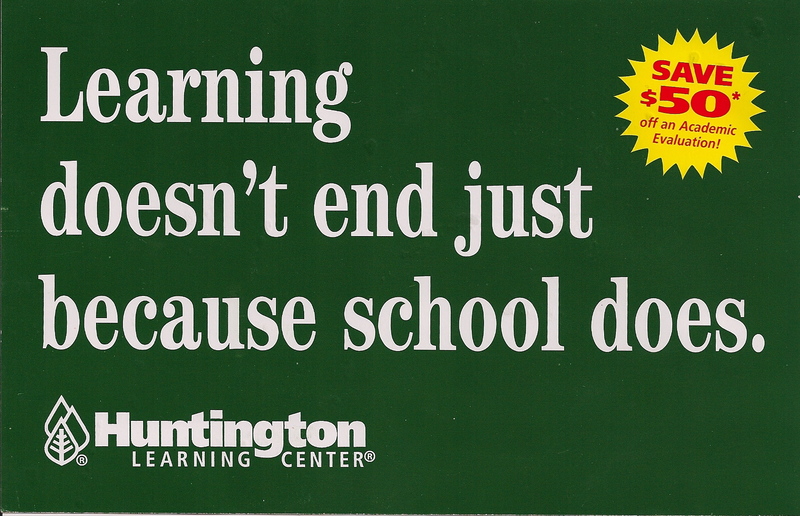 But using Grammar is excellent. I’m telling you: Use Grammar. 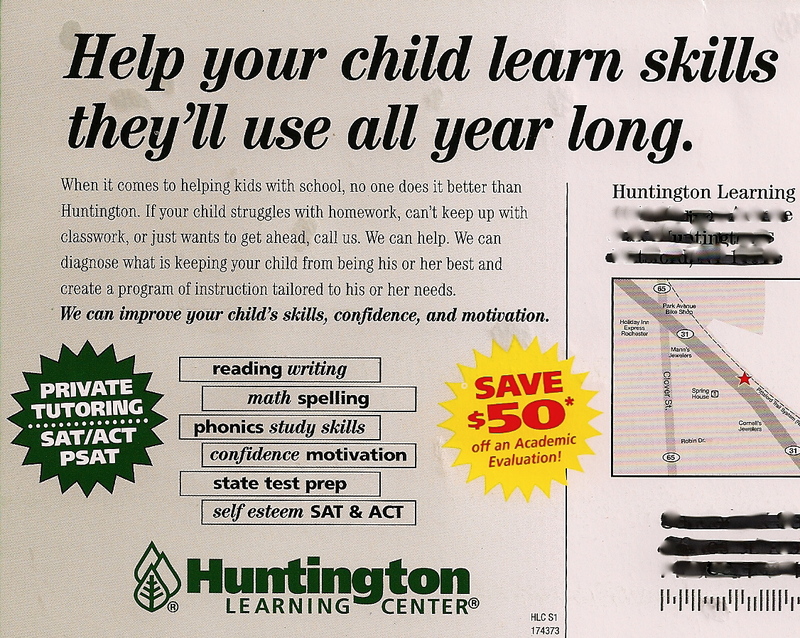 If we approached grammar as if it were a reality TV show, do you think it would make kids more psyched to learn their grammar rules? Or would a whole bunch of teachers just get fired? I went back to Massage Envy to get my April massage, which just so happened to fall on April Fool’s Day. 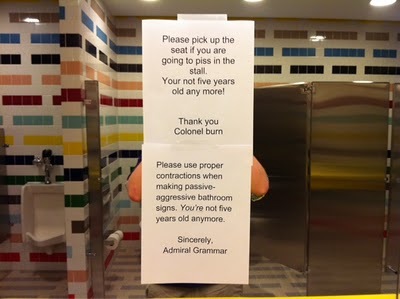 My regular readers will likely (possibly) remember the grammar issues with the signage at over the last two visits. I was so relaxed that I almost missed it. I almost peed in my pants! How much did I love that sign? Those folks at Massage Envy not only got the sign right, but they had such a great sense of humor about the whole thing! Plus they patiently waited for me to notice the sign – which had to be killing them. I’m sure the girls up-front (not to mention the manager) wanted to smash my nose against it! But they didn’t. They were professional and waited for me to notice it in my own good time. And afterwards, they still let me eat a few fabulous dark chocolates wrapped in purple foil at the end of my session. Well, I said I tip for great grammar, right? 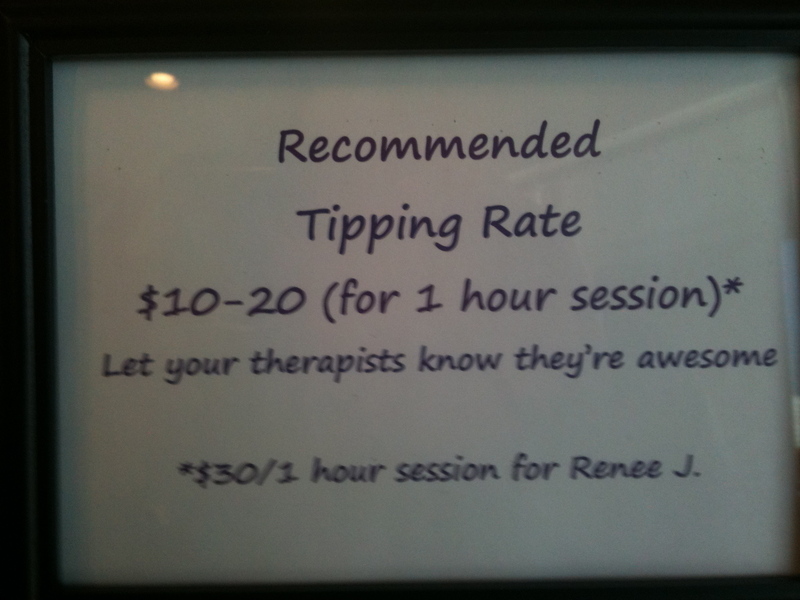 Guess who left the recommended Renee J. tip? Correcting grammar, one sign at a time.